Verge collection treasure or bed bug hotel? While it’s generally accepted that it’s fine to claim another man’s verge collection trash as your treasure, be careful you don’t bring home an unwanted house guest with your find. Some items, especially soft furniture and rugs, can be to home nasties like bed bugs. 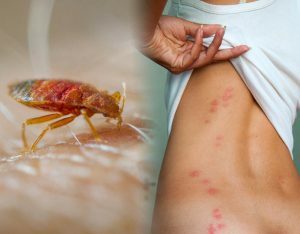 Bed bugs are very, very difficult to eradicate once they establish themselves in your home and they will make your life miserable with their bites. They love to lay their eggs in the seams of fabric covered couches and mattresses and they’re so small it’s almost impossible to see they’re there. We’ve heard of one case where a tenant found a hall runner rug in a council verge collection and brought it home, only to discover it was infested with bed bugs. Yikes! So please make good use of verge collections to have a tidy up at your home, but be very careful about what you bring back inside with you. A great alternative to sharing unwanted goods is the ‘Buy Nothing’ movement. These are closed Facebook groups where people often give away or exchange unwanted items within their own local community and are a ‘cleaner’ version of the verge collection.